The book, R is for Reparations, is written by children ranging in ages from seven to 12 that expresses their hopes and dreams for a fairer and more just world. 'They got to express the intergenerational hurt that they are in,' said Lynn Jones. About 30 African-Nova Scotians wrote the alphabet book R is for Reparations in February 2018. "Coming out of the innovative Book-in-a-Day event facilitated by the Global Afrikan Congress–Nova Scotia Chapter, R Is for Reparations invites readers to listen to the voices of young activists as they share their hopes and dreams about the global demand for redress, compensation and restitution for the horrors of the Atlantic Slave Trade," according to Fernwood Publishing. 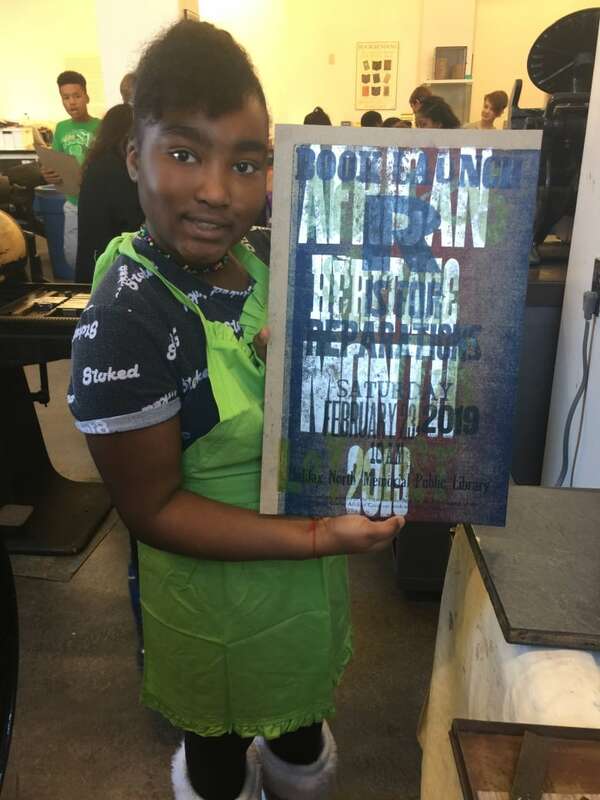 "I learned about my culture and how black people are strong, and how they weren't treated right," said Abena Atwell-Rodney, a Grade 5 student who participated in the project. "B is for Black people. Strong, beautiful Black people with beautiful hair. … We want to be free! Not being judged by the colour of our skin. No barriers, no bad words, and no banning immigrants!" 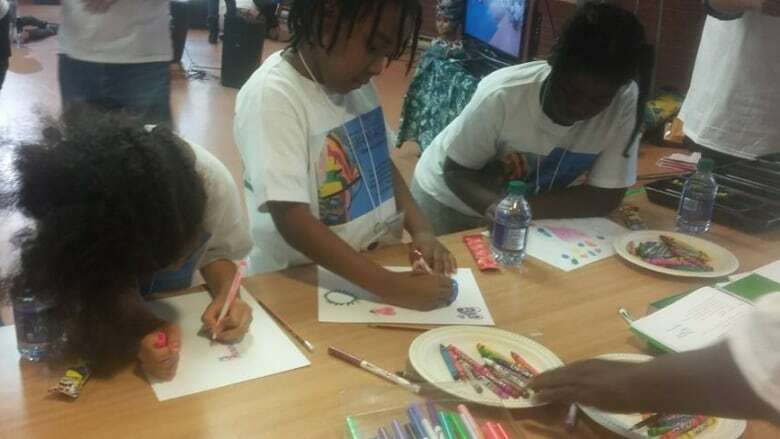 "They got to express the intergenerational hurt that they are in," said Lynn Jones, chair of the Global Afrikan Congress-Nova Scotia Chapter, which seeks reparations for the Atlantic slave trade. "Of course, they weren't around during the destruction of Africville, but still generations later, which is what reparation is all about, they are still expressing the hurt." The benefit, said Jones, "is that they are able from child perspective to put these feelings, and what they thought reparation is, on the table." "Spreading information about reparation, it's a slow process, because people don't really understand or people think that we just want more money and not looking at the long-term negative effect on the people," Jones said. "We feel like slavery didn't happen here and it very much did happen here and we do suffer the effects of it."